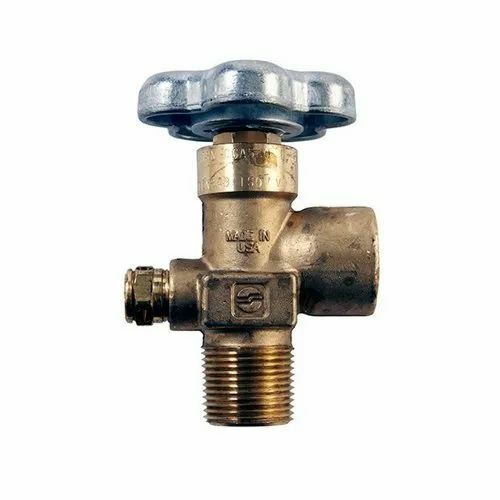 With our vast experience knowledge in this field, we are engaged in providing a quality-assured range of Cylinder Valve. Incepted in the year 2012, Bralcom (India) is a best organization of Manufacturing and Supplying of a supreme quality assortment of products including Brass Products, Refrigeration Compressor Spares, Refrigerant Gases, Compressor Accessories, Air Compressor Spares, Air and Oil Conditioning Products, Metallic Components, Dielectric Connectors, Valves and Actuators, Level Switches and Indicators, Door Latches and Gauges and Controllers. Designed and developed with accuracy, these offered products are developed under the supervision of skilled professionals by making use of pristine grade basic material and modern amenities. Additionally, our provided products are highly valued and demanded in the market for their ruggedness, high performance and precise dimensions.